HiVi Magazine Japan has announced its Winter 2016 HiVi Best Buy Awards. 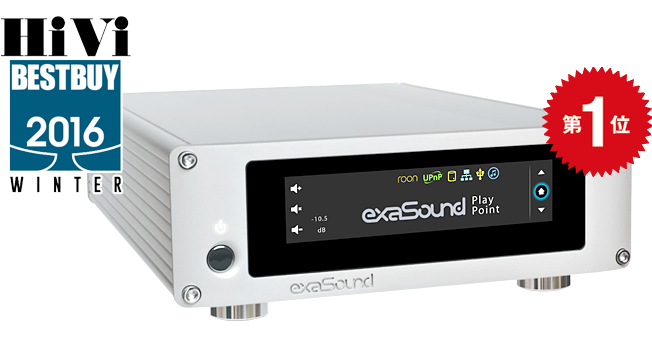 The exaSound e32 DAC won 1st prize in the DA converter category and exaSound PlayPoint won 1st Prize in the Network Transport Category. We are honored that the newly released exaSound's flagship model, the e32 DAC and the Playpont are recognized as the best offerings on the Japanese market this winter!